Union Telecom Minister, Mr Manoj Sinha, was impressed on the need to nourish local telecom manufacturing, dubbing it as a ‘must’ for attaining the cherished goal of sensitive data security in the country. Addressing Expo 2019, the annual conference of Telecom Export Promotion Council (TEPC) and attended by delegates from over 40 developing nations, Mr. Sinha said that protecting security data is high on our agenda, this can be achieved by focussing on local manufacturing and the domestic players should show their resolve of coming out with the best technology and products. Union Commerce and Industry Minister, Mr. Suresh Prabhu earlier inaugurated the conference and said India, with its stellar track record in building affordable and innovative technologies will be keen to partner with nations looking at scalable and low cost communication solutions. “These are interesting times, but also challenging, because the change is profound and the speed of change is dramatic.” He said and added that India is looking to build partnership that is mutually beneficial. Stating that India is next only to China in consumer base, Mr Prabhu said that the country offers great advantage in terms of low cost and hi-tech manufacturing and offers a hand of friendship to developing countries. Speaking on the occasion, TEPC Chairman and former Telecom Secretary, Mr. Shyamal Ghosh assured the Government of the robust positioning of domestic players like Tejas and Vihaan saying the local players were capable of providing low cost and innovative communication solutions both for India and requirements of developed and developing economies. Vihaan Network Limited Chairman and present Vice Chairman of TEPC, Mr. Rajiv Mehrotra Addressing the august audience at the Indian Telecom 2019, highlighted the need of bridging the digital divide between rural and urban areas by connectivity solutions & creating digital villages. He also emphasised upon creating opportunities for promoting indigenous telecom equipment manufacturers in India. 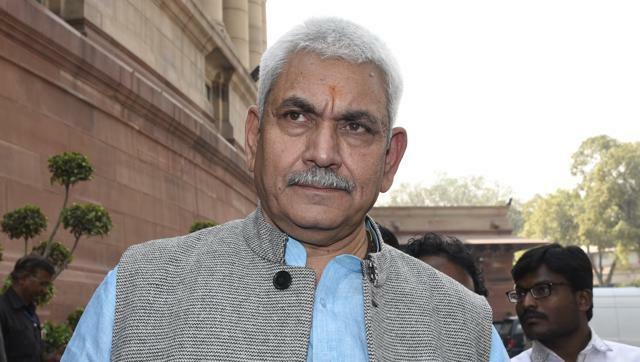 Local telecom manufacturing must for data security: Manoj Sinha 0 out of 5 based on 0 ratings. 0 user reviews.